That was end of longest malayalam running television serial on asianet, parasparam serial climax aired on 31st august 2018. It was the remake of popular hindi serial Diya Aur Baati Hum produced by Rose petals entertainments for Asianet. Harisson is the episode director and parasparam ruled malayalam trp rating charts for many years. It was launched on 2013 and become very popular within short period, recently asianet shifted parasparam into 6.30 p.m time slot. It’s trp dropped into 5+ but did good business for the channel, parasparam tv serial completed 1524 episodes. Latest episodes of parasparam and climax now available through hotstar application, which is the official medium for watching asianet shows online. 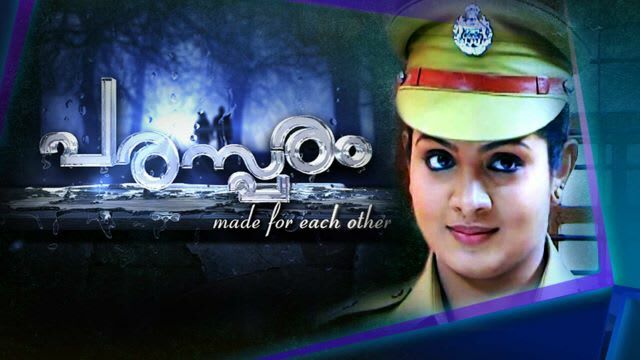 in the end portion female character Deepthi IPS and Her Husband Sooraj Expired in a Bomb Blast. Social media started trolling the end episode of parasparam , Gayathri Arun, Vivek Gopan, Rekha Ratheesh, Sneha Divakar, Kollam Thulasi etc appeared in the star cast. Gayathri Arun played the role of Deepthi IPS and she become popular with the role of deepthi. Vivek Gopan played the husband character Sooraj, these pair become very popular among television viewers. Rekha Ratheesh is another actress in parasparam, she played the mother in law character of deepthi. Asianet will replace serial parasparam with another show, presently 6.30 P.M slot is filled with Story of Vanambadi, Neelakkuyil, Karutha Muthu, Kasthooriman, Bharya etc. We can very soon expect a new malayalam television serial in the time slot of 6.30 P.M on Asianet. Hindi dubbed serial Vezhambal showing at 5.30 P.M, Another dubbed item Ayushman Bhava at 6.00 P.M. From Next monday they will air the story of All popular serials at 6.30 P.M slot. Vanambadi, Neelakkuyil, Karutha Muthu, Kasthooriman, Bharya are the most popular television serials as per latest trp reports.